Cunning, courageous and clever, these sleuths are fascinated by Creation stories – just what’s needed here! We will set them the Creation story in the Bible – and ask them to investigate that. The Creation story that Christians read in the Bible is very similar to the story that Jews and Muslims also read. Here is the first question we’ve set the sleuths. If the Bible says the Universe was made in a matter of days and science said it took billions of years, which should we believe? 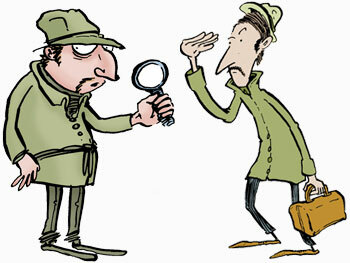 The sleuths set to work and roam far and wide, hunting for clues. The minutes turn to hours and then suddenly they are back to say that they have found an expert to help with the challenge. Here is a video of his answer. See what you think! Not a bad clue at all! This interview with Dr Ard Louis was quite a find. Dr Louis said that in his view, the text is more like a poem than a newspaper report of what happened when the Universe began. But sleuths, your work is far from finished. We feel you should check the text out for yourselves. We are sending you to an underground library where you will find a copy of the Bible, plenty of spiders and not much light. 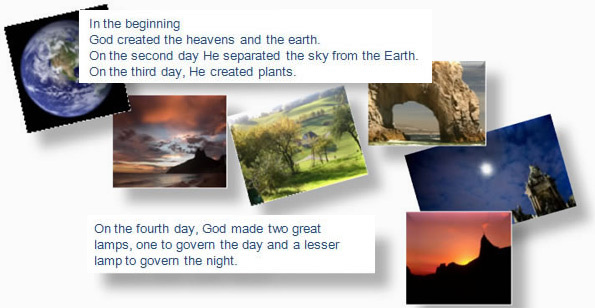 We want you to find the place where the Creation story refers to ‘a day’ and we want you to see whether you think it means literally ‘one day’. 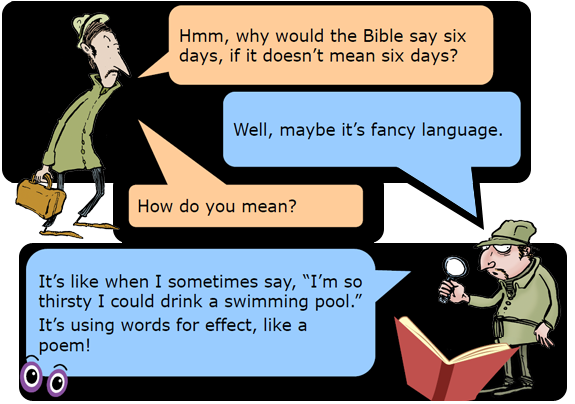 So here we have an answer from the sleuths: They say that the Biblical account is not intended to be read literally because when you read at it, the language is ‘fancy’ – almost like poetry. It’s a good idea – and it’s what Dr Ard Louis seemed to say too – but do you agree – what kind of language do you think this story is written in? Our sleuths seem to think the case is almost solved – but we think otherwise. We think an important clue has been missed … find out what it is here.